A good coxswain makes the difference between success and failure. A coxswain (or more commonly cox) has to be a combination of coach, motivator, psychologist, race tactician, organiser, and – most importantly – be able to steer. In other words, it is a lot more demanding than just sitting in a boat and shouting while you pull the rudder cable. If you enjoy taking the lead or are a born motivator and tactician with a sense of direction and a willingness to learn, then it is a really rewarding role. Despite what crews might say, coxes are not deadweight in the boat! They ensure success by driving the rowers on (in both senses). Interested in coxing a boat at Merton? A dedicated committee position, the Captain of Coxes, looks after all current coxes within the Club and makes sure everyone gets the right training with the right crews in suitable boats. They oversee coxing for all the crews rowing in the Club, from recruitment and training to giving pre-race pointers. 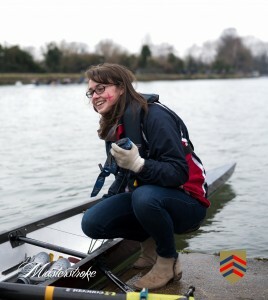 If you are interested in taking up coxing or have additional questions, get in touch with Katie Davies who is the current Captain of Coxes via the contact form.